New York, NY, November 13, 2014 – Super Micro Computer, Inc. (NASDAQ: SMCI), a global leader in high-performance, high-efficiency server, storage technology and green computing debuts the latest extreme performance 3rd Generation Hyper-Speed platform based on Supermicro’s new Ultra architecture along with a new high density Intel® Xeon Phi™ coprocessor based 1U SuperServer® at the STAC Summit in New York this week. The 1U SYS-1028UX-CR-LL1 Hyper-Speed Ultra SuperServer® is fine-tuned for low latency/high frequency trading applications and features enterprise-class hardware acceleration, dual Intel® Xeon® processor E5-2643 v3, I/O flexibility to support multiple full-size NICs and optional co-processor cards. In independent tests by the Securities Technology Analysis Center (STAC®), this solution achieved the world record results for mean latency, max latency and jitter at baseline message rates in a public STAC-N1™ benchmark. 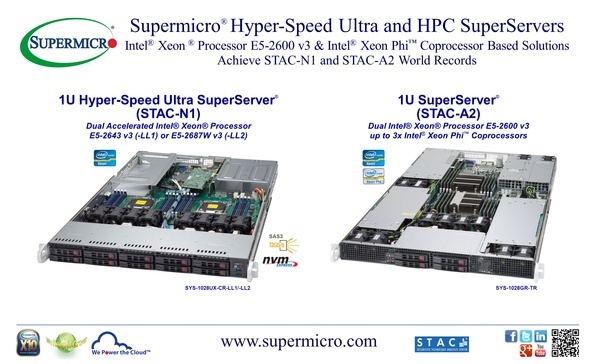 The STAC Report™ of these benchmark results is available at www.STACresearch.com/SFC141110.Access a white paper on Supermicro’s Hyper-Speed solutions at www.supermicro.com/Hyper-Speed_WP. The 1U high density form factor SYS-1028GR-TR is optimized for high performance computing applications with support for up to 3x Intel® Xeon Phi™ coprocessors. 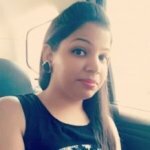 It has achieved world record STAC-A2™ benchmark results on a Windows platform, showing the solution’s ability to accelerate computation time for financial risk calculations. The STAC Report™ of these benchmark results is available atwww.STACresearch.com/INTC141023. Supermicro is present at the STAC Summit in New York, NY on November 13th in the New York Marriott Downtown.